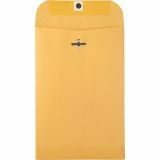 Quality Park Clasp Envelope, #55, 6 x 9, 28lb, Brown Kraft, 500/Carton - Clasp envelopes feature deeply gummed flaps for permanent secure closure. 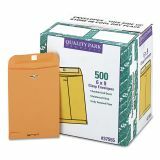 They are great for storing or mailing documents. Heavy-duty double-prong clasp and reinforced eyelets are durable for repeated use. 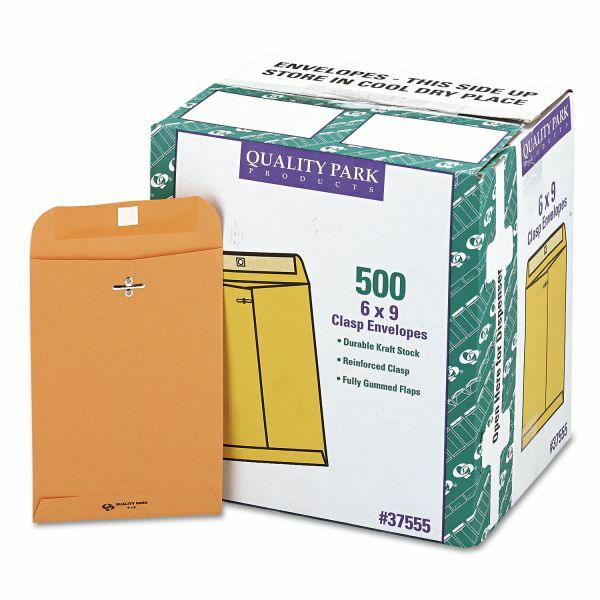 Envelopes are made of 28 lb. 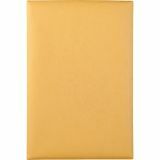 gray stock that is great for extensive handling as well as mailing. Contents are protected during use to give you assurance that it arrives unharmed.